Hypoallergenic multivitamins can offer healthy nutritional support to individuals with food sensitivities and special dietary requirements. They avoid touchy ingredients like artificial flavors and colors, gluten and nuts that may trigger reactions. This way, everyone can enjoy the benefits of maintaining good health. 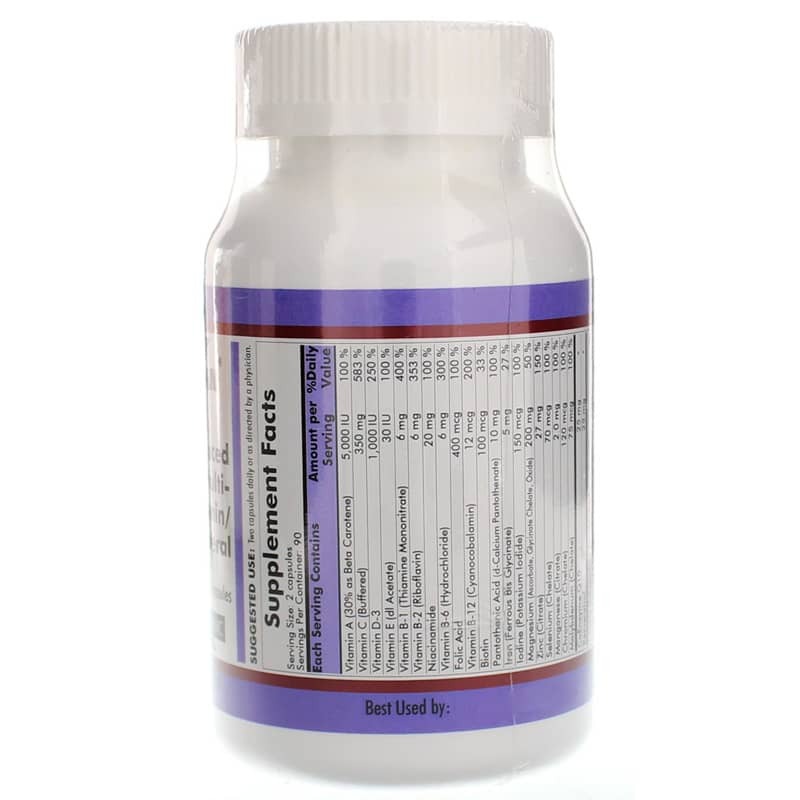 Kirkman offers a hypoallergenic natural supplement called Advanced Adult Multi-Vitamin/Mineral that seeks to provide advanced nutritional support, especially for those with dietary sensitivities. 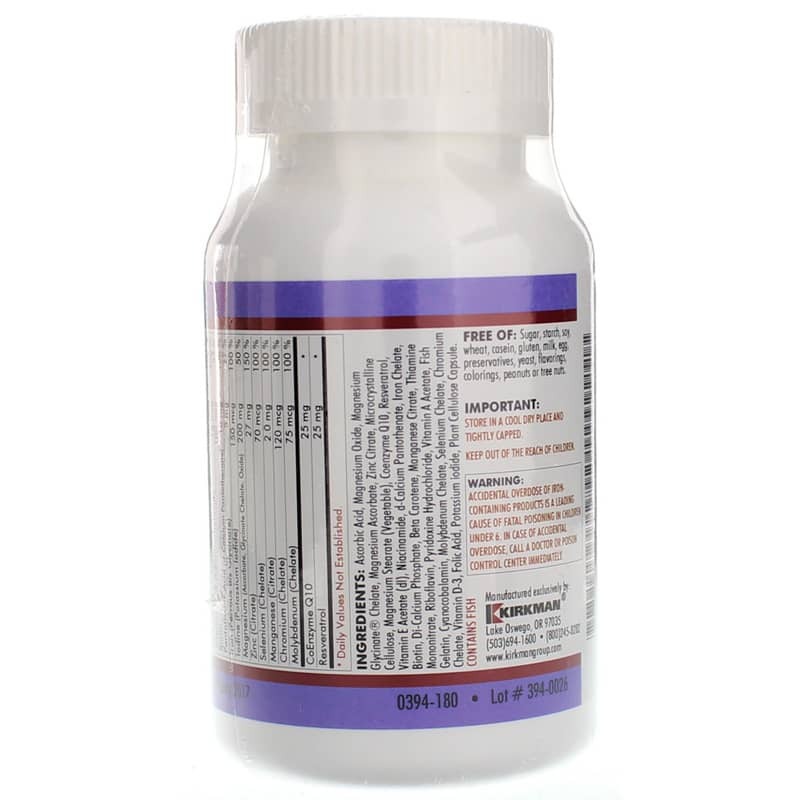 This formulation is free of most common allergens, including gluten, wheat, casein, soy, sugar, starch, milk, egg, yeast, peanuts, tree nuts, preservatives, colorings and artificial flavorings. It has also been ultra tested for over 950 environmental contaminants. 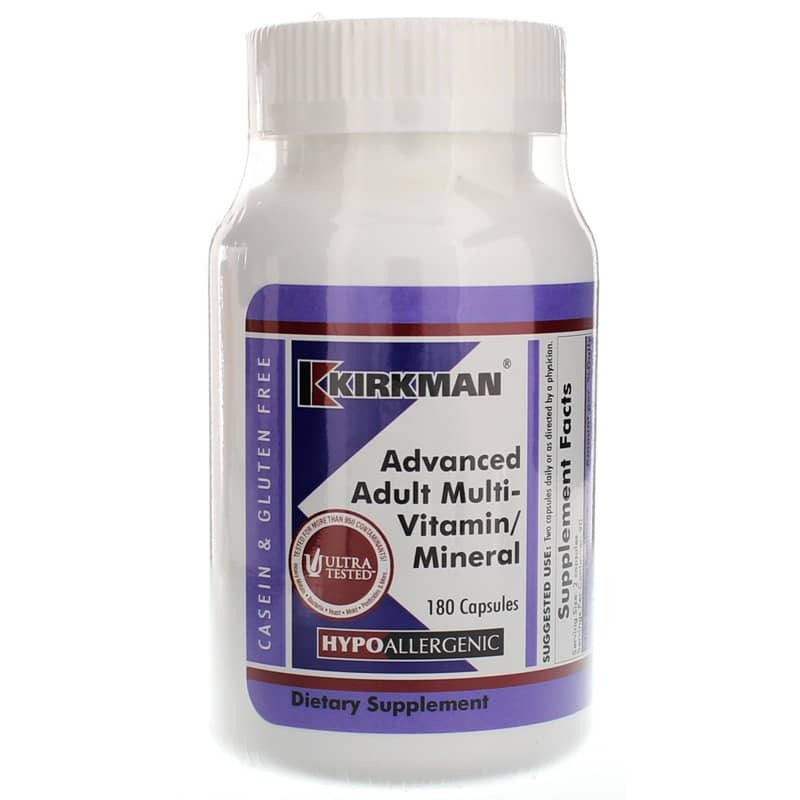 If you're looking for a hypoallergenic multivitamin and mineral supplement that seeks to provide advanced nutritional support - especially for those with dietary sensitivities - check into Kirkman's Advanced Adult Multi-Vitamin/Mineral. Order online today! Contains NO: Sugar, starch, soy, wheat, casein, gluten, milk, egg, preservatives, yeast, flavorings, colorings, peanuts or tree nuts. Accidental overdose of iron containing products is a leading cause of fatal poisoning in children under 6. Keep this product out of the reach of children. In case of accidental overdose, call a doctor or poison control center immediately. If you are pregnant or nursing, please consult your healthcare professional before using this product.